Fear is the obstacle in Pierre, and we need your help to defeat it. In a vote of Yes - 31, No - 34 with 5 absent, the Convention of States application was defeated on Wednesday in South Dakota. Thursday, it was resurrected on a reconsideration vote of Yes - 38, No 26 with 6 absent. That means on Monday, 2/13, we will be live again for an up/down vote on the House floor. Please help! Need a quick refresher on what this critical legislation is all about? Watch this short video. Ultimately, groups of liberal democrats spread fear and misinformation, leading legislators to vote against this critical legislation to limit federal overreach. Last night, Mark Meckler and Mark Levin went on national radio to talk about the fearful groups that are taking over in South Dakota! Listen to the video below for the full scoop. Pierre, SD, January 26, 2016 – South Dakota state legislators have officially filed HJR1002 in the House with multiple sponsors in the House: Representatives Latterell, Chase, DiSanto, Haggar, Haugaard, Jensen (Kevin), May, Mickelson, Mills, Peterson (Sue), Pischke, Qualm, Schaefer, Willadsen, and Zikmund and Senators Jensen (Phil), Bolin, Langer, Maher, Netherton, Novstrup, Rusch, Stalzer, and Wiik, that seeks an amendment-proposing Convention of the States to curb the federal government’s abuse of power by imposing fiscal restraints on Congress and limiting the jurisdiction of the federal government. South Dakota now joins 16 other states that have introduced the resolution with an expected 38 states to consider this identical legislation this year. It is imperative that we have everyone in South Dakota email these legislators immediately to express your support as South Dakotans toward supporting HJR1002! Do you believe the federal government has grown to become too big? Do you believe there are too many federal agencies making too many regulations? Do you believe that the best decisions for you are made closest to where you live? Do you want the federal government to live on a budget like your family has to do every month? Do you believe that individuals serving in Congress for 30+ years is too long and we should place limits? Are you tired of the Supreme Court, Congress, and the President overstepping their constitutional limits and growing the size of the federal government every year? WASHINGTON, D.C., Sept. 13—Citizens for Self-Governance announces the commissioners attending the first-ever Article V simulated convention of states September 21-23, in Colonial Williamsburg, Virginia. Forty-eight states are sending legislators and respected thought leaders to act as commissioners in performing a test run of an actual Article V convention. Citizens for Self-Governance has posted the list of commissioners here. South Dakota commissioners are: Rep. Isaac Latterell (Tea), Rep. Lynne DiSanto (Rapid City), and Sen. Brock Greenfield (Clark). Regional Director for the Convention of States Project, David Schneider, will be providing information on the action plan the Founding Fathers placed into the Constitution to fight back against federal overreach. It's been hiding in plain sight for over 200 years right in the original text of the Constitution. Come hear why South Dakota needs to play a big role in this process. This is exactly what Mark Levin has been talking about for the last few years on his radio program, and precisely the topic he wrote his book "The Liberty Amendments" about. Please bring your friends out to listen and disucss this very important issue that will be again in front of the SD legislature next year. Attendance is free, donations are appreciated. 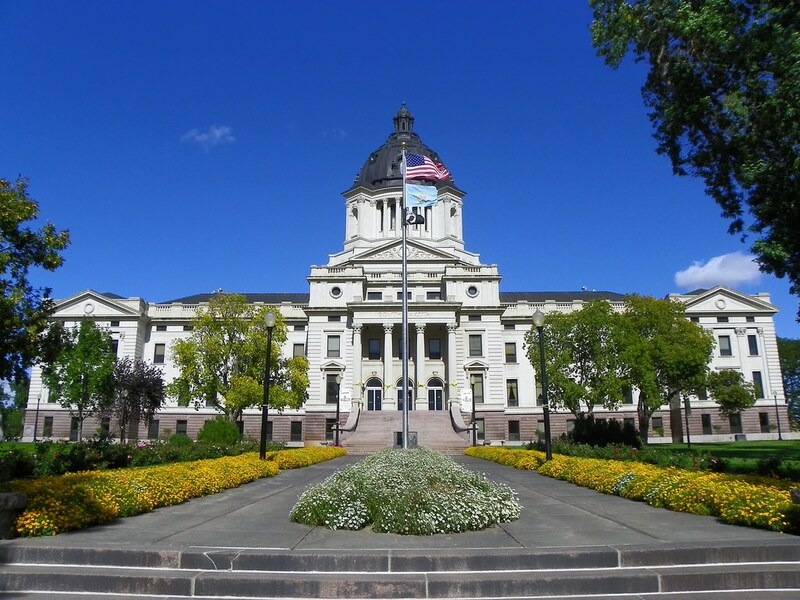 After successfully navigating its way through the South Dakota House of Representatives two weeks ago, HJR 1002, calling for a Convention of States to place limits on the size, scope, and jurisdiction of the federal goverment, was defeated in the Senate Taxation Committee. Two Senators in particular stood in the way citing fears and concerns for action. Each admitted there were many constituents calling for this action, but in the end they seemed more annoyed with the emails and phone calls than inspired. South Dakotans have won the day! Thanks to your incredible support, we’re one step closer to limiting the unconstitutional power of the federal government. On Monday, we had a huge victory over who decides. The South Dakota house committee passed the Convention of States Resolution to limit the power of the federal government, with a 7-5 vote. South Dakota to Vote on Convention of States! Our fight is about who decides. Will it be you who chooses what's best for you or some far off, unaccountable bureaucrat? URGENT CALL TO ACTION: South Dakota House of State Affairs will vote on the Convention of States resolution (HJR 1002) on Monday February 22nd at 7:45 am in room 414 of the Capitol! Please call and email these committee members and ask them to vote "YES" to HJR 1002. We need your help to win the votes needed to secure this victory! Please share this Call to Action with your neighbors.